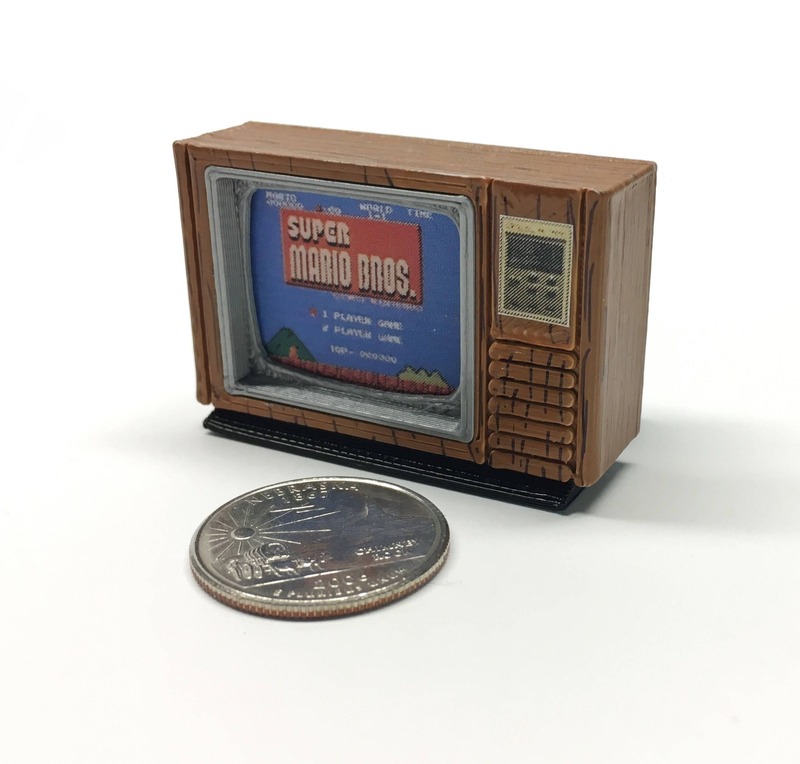 This tiny, 2" (50mm) Zenith Space Command color TV is the perfect accessory for your retro mini gaming consoles or computers! It was designed using open source CAD software, 3D printed on a Makerbot Replicator, and hand painted and assembled. The screen image can be changed by sliding in and out - several screens are included, and you can print/draw your own! Perfect for your desk or dollhouse diorama. Mini Atari 2600 'Heavy Sixer' - 3d printed! Love it, reminds me of childhood. Very lovely. This is a perfect TV for my dollhouse. The workmanship couldn't be better. I couldn't be happier with it! Mini Nintendo Game Boy Color - 3D Printed!